Peter first saw this plant in New Zealand in the 1990's. Thinking it was a more compact form of Nandina domestica nana, he went to have a closer look. 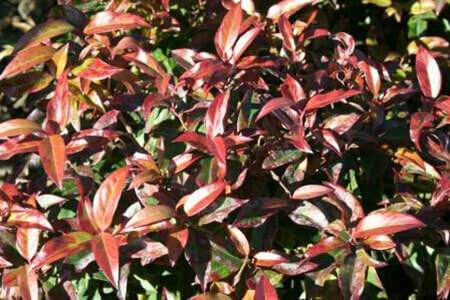 To his surprise, it was a dwarf form of Leucothoe only with much redder foliage in the sun. A great small hedging shrub. Great in pots.